Clark's Farm is part of the farming operation of the Clark family, which is proud to be entering it's 222nd year of farming in Howard County (actually Howard County in only 168 years old, prior to that we were part of Anne Arundel County). Over those years we have raised crops and a variety of animals and run a dairy operation, but the main link between the seven generations of farmers in our branch of the Clark family has been raising beef cattle. The sixth and seventh generation, Martha Clark and Nora Crist, are pleased to be providing for the first time to the retail market, our 100% grassfed beef. 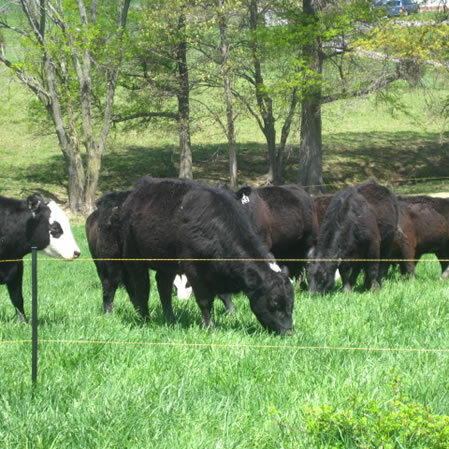 Our goal is to provide our neighbors with a local source of pasture-raised, grass-finished beef, an alternative to the feedlot-raised, corn-fed beef that is prevalent in local stores. In recent years we have also begun offering pasture raised pork for sale. Just like our beef, and our pigs are raised without the use of synthetic hormones, routine antibiotics, or steroids. In addition to what our pigs forage in their pastures, they are supplemented with a blend of non-GMO grains (not from genetically modified organisms) and extra produce from our chemical free farm garden. 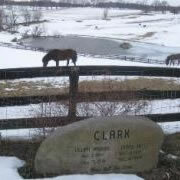 The Clark family has been farming in Howard County since 1797. The first record we have of the three Clark brothers---James, John and David---is a contract with Charles Carroll of Carrollton for a term of thirty years starting on November 1, 1797 for the lease of two lots of land being a part of Doughoregan Manor. They leased 148.50 acres on which they raised wheat. They also ran a fulling mill on the property and provided cloth for Charles Carroll of Carrollton. It must have been a mutually agreeable arrangement, since the agreement was extended for an additional twenty years that took it to 1847. The Clarks were then ready and able to become land owners themselves, their part of the American dream. Howard County was formed from upper Anne Arundel County in 1851. Thus the Clarks were in on the ground floor. James Clark, son of the settler John Clark, bought Wheatfield Farm in 1850. Descendents of John's brother, David, soon held large acreages around Clarksville and their descendents continue to farm in western Howard County today. James Clark (Martha Clark's great-great grandfather) lived at Wheatfield Farm (which is now the Wheatfield housing development on Montgomery Road) until his death in 1890. One of the reasons he purchased the farm at that location was that it was close enough to the railroad in Ellicott City to ship milk to Baltimore every morning. 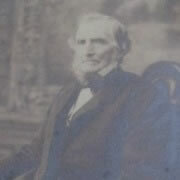 John Lawrence Clark (Martha Clark's great grandfather) was the youngest son of James Clark of Wheatfield. He married Mary Corinne Talbott (daughter of the owner of Talbott's Lumber Company in Ellicott City). 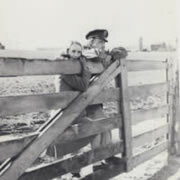 They lived at FairfieldFarm (which is now the Running Brook neighborhood on State Route 108). 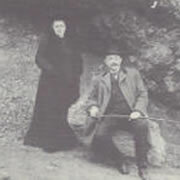 They had eight children between 1877 and 1896. John Lawrence Clark was a expert cattleman and was called on for advice before buying and selling cattle by all his neighbors. He raised Angus cattle on the 202-acre Fairfield Farm. James Clark (Martha's grandfather) was the son of John Lawrence Clark of Fairfield. 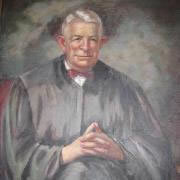 He was a lawyer and circuit court judge, but had a life-long appreciation and respect for farm life. James Clark married Alda Tyson Hopkins, the daughter of Johns Hopkins' nephew, Samuel Hopkins, a Howard County farmer from Highland. 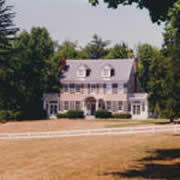 James and Alda and their three sons lived at Keewaydin Farm on Columbia Road near Ellicott City. He also purchased Elioak Farm, a 312-acre farm one mile west of Fairfield Farm on Clarksville Pike (Route 108) in 1927, where he raised Angus cattle. 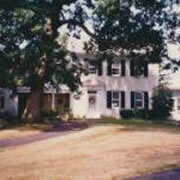 Elioak Farm is the property we continue to farm to this day. James Clark Jr. (Martha's father) recounted his life and passion for farming in his memoir, Jim Clark: Soldier, Farmer, Legislator. "Father bought this farm because he had become interested in Angus cattle and, also, I think, with the thought in mind that it would keep his three sons busy with a purpose. . . . All during my high school years, I spent a great deal of time with Father walking around the Elioak Farm, and working there in the summer. . . . As the number of Angus cattle increased, Father wanted to bring the yearling heifers down to Keewaydin from Elioak each spring to spend the summer on pasture. This may be hard to believe but we used to drive them right down Route 29 which was a small country road at that time. Unfortunately for us, almost every year, just before we got them to Keewaydin, right at the point where we passed Mr. Fleming's house, they would bolt onto his beautifully-kept lawn. Needless to say he got upset. Usually this was very early in the morning and Mr. Fleming would raise his upstairs window and shout at us. 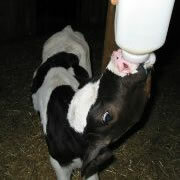 The heifers would often go around the house several times before we could get them back on the road. These yearly cattle drives went on for a number of years, both spring and fall. Finally we had to give up and haul them by truck." James Clark Jr, began farming in earnest when he returned from serving in the Army Air Corp in World War II. He married Lillian Hawkins, whose father, Egbert Holmes Hawkins, farmed the land in the area of BWI Thurgood Marshall Airport. E. H. Hawkins raised vegetables for the markets in Baltimore until he moved to a farm in Howard County when he had to sell his land for the development of the airport. James Clark Jr. began farming in 1946 and continued until his death in 2006. He had a dairy herd and shipped milk for decades. He raised Angus cattle, sheep, hay and grain crops and started the roadside vegetable stand that still operates today. In 1972 Mark Clark (James Clark Jr.'s son and Martha's brother) took over the farming operation and increased the size of the dairy herd. By 1990 the dairy herd had grown to such an extent that Mark needed a larger farm, so he moved the entire dairy operation to Georgia. As a result, Jim Clark was back in the farming business again. With the sweet corn and vegetable stand, beef, sheep, hay and grain crops, he was once again fully engaged in his passion. As he relates in his memoir, "I still get a thrill out of getting up at daylight and looking after the livestock and crops. Each day offers different things to do, whether its building fence, working at my saw mill, nursing a sick animal, repairing machinery, or picking corn or other vegetables. Farming offers great challenges and great rewards." Martha Clark and her daughter, Nora Crist, are now enjoying those challenges and rewards. Martha married Douglas Crist, who just happened to be our wonderful local Southern States dealer, and they started farming their small farm on Centennial Lane, Summer Solstice Farm. Their two children, Nora and Nate, rode horses and raised vegetables as they were growing up. After Doug's passing in 2000, Martha made plans to join her father in running the entire farm. She opened Clark's Elioak Farm in September 2002 as a petting farm and educational venue to share her love of farming and the family farm on Route 108. Nora and Nate helped with all the jobs at the petting farm as well as at the roadside vegetable stand throughout their teens. They have managed the Clark's Produce Stand on their own since 2006. 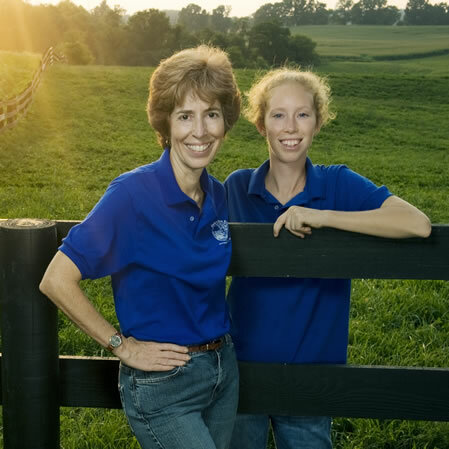 In addition, Nora, a University of Delaware Agriculture and Natural Resources graduate, began managing the petting farm full-time in June 2009. Having inherited the core of Jim Clark's beef cattle herd, Martha and Nora have been developing the cattle as a 100% grassfed and finished herd since 2006. The first beef was available at our market during the spring of 2010. Our farm manager, George Klopf, brings years of experience raising cattle using organic farming methods to our farming operation. Our family has had the opportunity and privilege to farm in Howard County for over two hundred years. And in light of the fact that the memorial stone in our front yard gives us the "etched in stone" instruction---Never Sell The Land----we hope to continue to farm here for years to come.